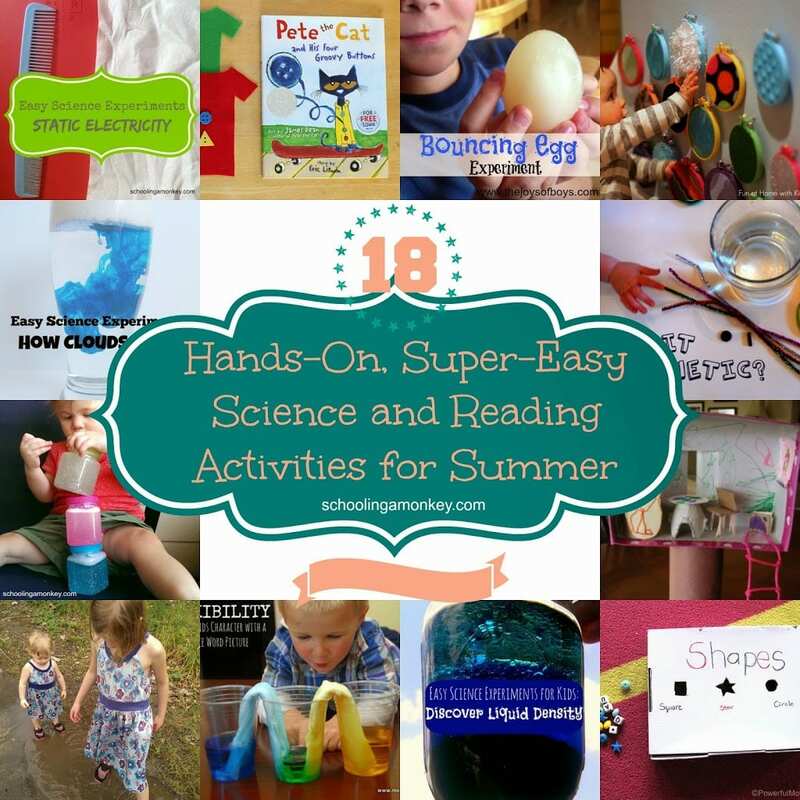 Hands-On, Simple Learning Activities for Summer That Kids Will Love! During the summer, I like to keep Monkey and Bo busy with learning activities for summer that they ordinarily do not do during the year. Because I work from home, often we don’t get to do many fun hands-on activities throughout the year. 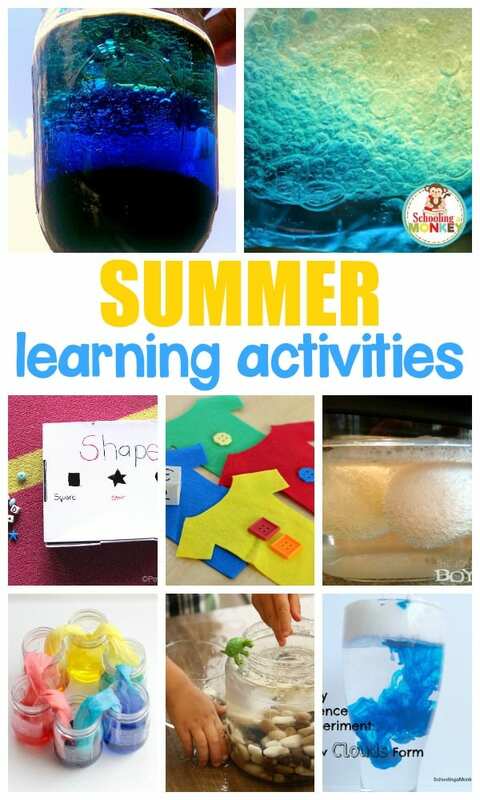 I like to give them activities during the summer that are both fun and educational. Since I love books and I love science, you’ll find an amazing round-up of thematic units for both of those topics below! As a bonus, I’ve included 4 preschool and toddler activities for summer as well! You can thank Bo for this inclusion. Kids will love these fun summer projects with an educational twist! 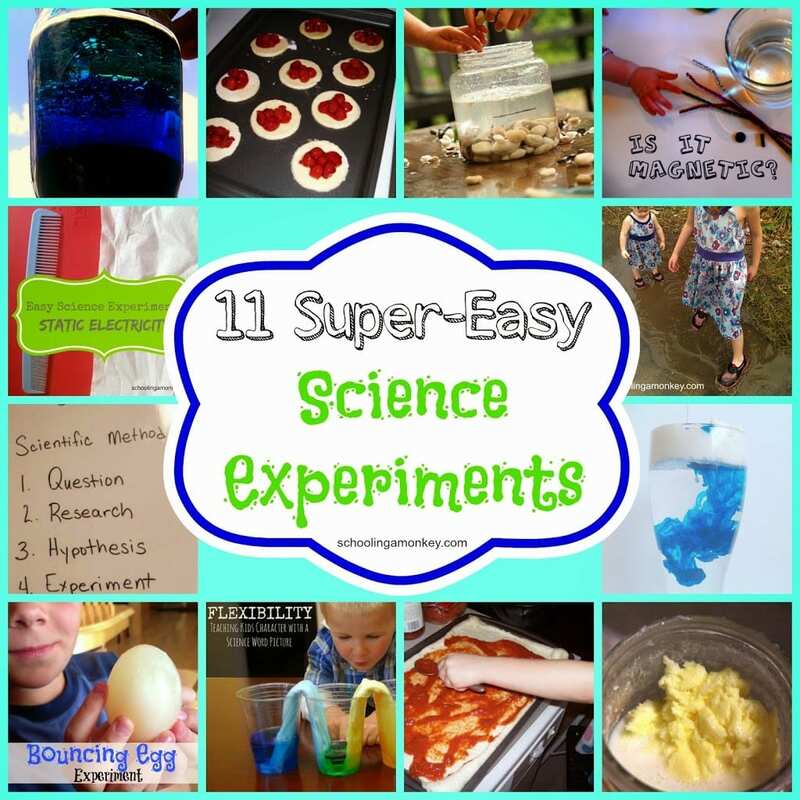 Love science activities but hate set-up and hunting down hard-to-find supplies? Then these cool science projects are for you! Teach your kids the proper scientific method using this fun tutorial from Life with Moore Babies! I love how this science project from Meaningful Mama relates a science experiment to learning about how to be flexible in real life! Another cool thing about this project? No special materials! Here is a simple way to turn a nature walk into a scientific discovery zone. This post from The Joys of Boys shows how to create a bouncing egg. It takes a little longer, since it takes about 5 days to prepare, but it is super-cool and only takes ingredients you have in the kitchen. With just shaving cream and food coloring, you can learn how clouds work and why rain falls! Confession, this science experiment is mainly for me, because I love butter, but children will be fascinated learning how to transform cream into butter. We always have cream in the house for my coffee, so we could make this experiment from Happy Hooligans today! Learn about static electricity with just two simple materials. It’s like magic! This simple project on magnetic objects is simple, fun, and educational! Happy Hooligans has an excellent tutorial on how to teach water displacement to children! It is so easy and super fun! Kids can quickly see how density works with this fun and simple project that uses basic kitchen supplies! Do your kids have to read in the summer? Maybe you’ve joined up with a summer reading book at your local library or somewhere else. If your kids are resisting their reading lists, use these 4 tips to encourage summer reading to make things a little easier! This amazing button math game from Buggy and Buddy brings the book Pete the Cat and His Four Groovy Buttons to life! 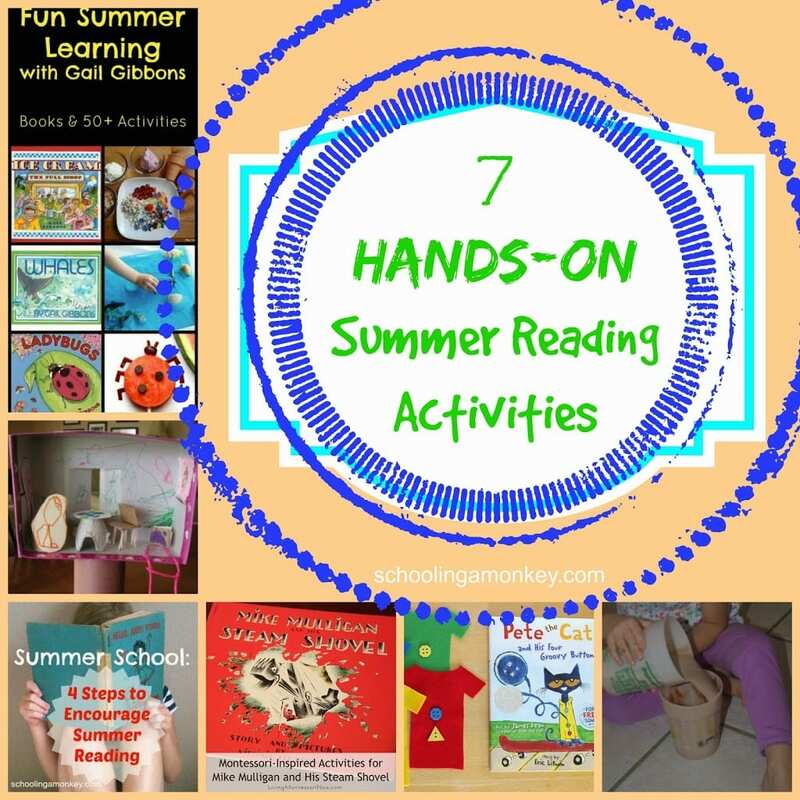 Fantastic Fun and Learning has a list of over 50 activities to go along with summer-themed books featuring bugs, water creatures, ice cream, and more! If your kids love The Magic Tree House series as much as Monkey does, then you will love this tutorial on how to build your own magic tree house from Mom with a Lesson Plan! Mike Mulligan and His Steam Shovel was one of my favorite books as a child. Living Montessori Now has collected several fun activities to go along with the book. If you love Charlie and the Chocolate Factory, then you will love these fun hands-on, edible activities from Life with Moore Babies! My favorite is the chocolate waterfall. 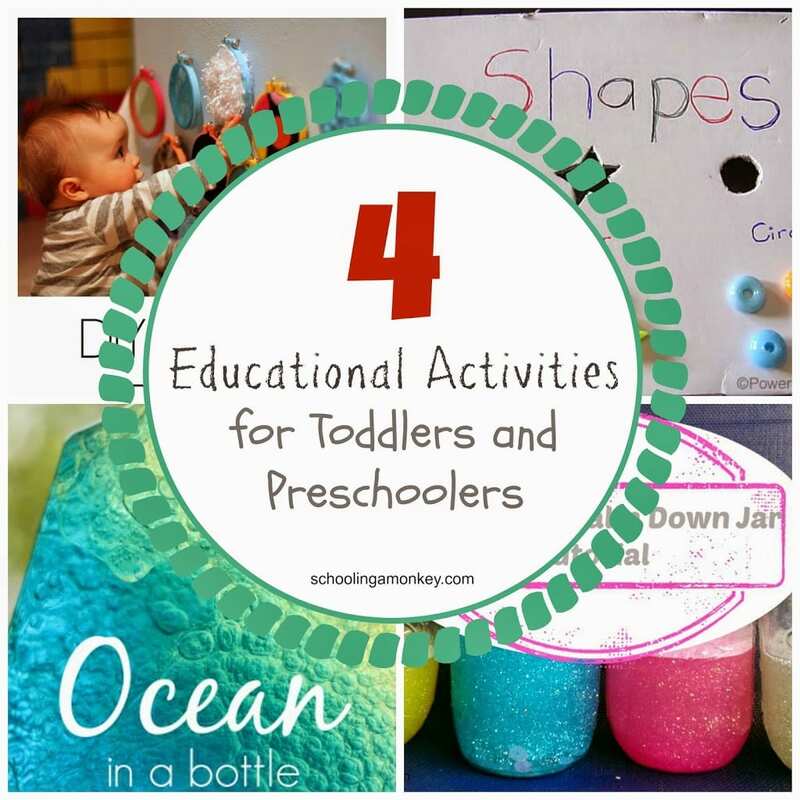 It can be difficult to do educational activities with toddlers and preschoolers if they are as active as my children! These activities are simple, effective, and take little set-up. I love this DIY Shape Sorter from Powerful Mothering. I love that she takes craft odds and ends and turns it into something educational! I know Bo would play with this for quite some time. Bo loves discovery bottles, and she would have endless fun playing with this ocean discovery bottle from Happy Hooligans! Bo would absolutely go nuts over these DIY sensory boards from Fun at Home with Kids! I love how you can customize them to use whatever odds and ends you have lying around the house. Bo has had such fun playing with our homemade glitter jars! They require only a few ingredients you probably already have on hand. What are your favorite learning activities for summer?